An imaginary village comes to life in a performance with live painting and music by Conrad Armstrong, Susan Brearey, Tim Eriksen, Luboš Malina and Viktor Valášek.Valašsko…New England…the Arctic Circle…Where is the village? Who lives there? What does it sound like? Are there wolves in the woods? 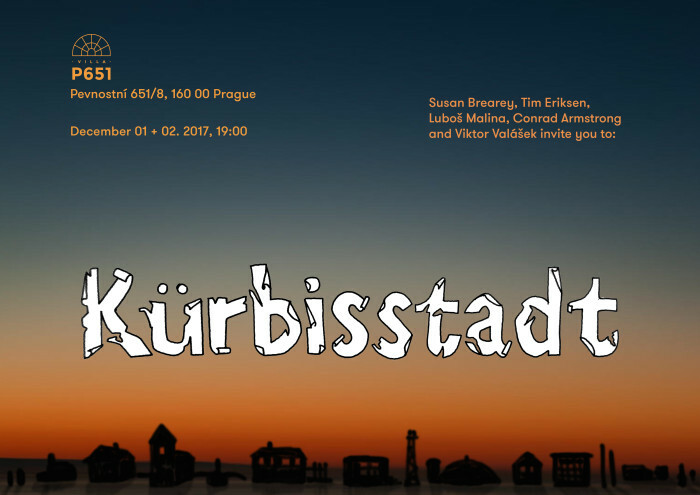 Kürbisstadt is a village of dreams- a place of hope and fear, joyous celebration and ghostlike memories. You are welcome here. Please be our guest as the village comes to life in music, color and imagination. Welcome to Kürbisstadt.